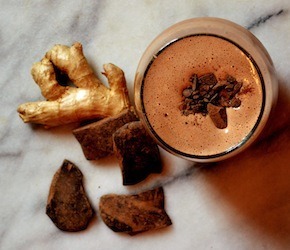 This high protein, energizing smoothie tastes like a chocolate covered ginger truffle – in a glass! Place all ingredients into a high-speed blender and blend until smooth. Serve immediately!